Nora Jane Tate was born on April, 10 2009, ten days too early. Most people would be ecstatic to have their baby early, me on the other hand, I was completely taken off guard. On the seventh of April I went for a routine visit and my Doctor. He informed me I was dilated to a three. I headed straight for the storage unit and the next few days are now a blurr as I prepared for this little gal. I awoke on the tenth with what I thought were contractions. I called my Doctor and made an appointment. He informed me that I was in pre-labor and that it certainly could be another week or two. I was slightly discouraged being that I thought I was really brave and strong this time around, yet I was relieved that I still had time to do a few finishing touches, like grab my car seat. My mother arrived that afternoon and we ran around town. It wasn't until that evening as I was hanging things up that it became really uncomfortable, and I finally convinced myself again I was indeed in labor, as I was curled up in the fetal position with tears rolling down my face. Not so brave and strong, right! I was dilated to a five when American Fork Hospital checked me in. I pretty much was begging for an epidural and they were trying to be as quick as possible but they were pretty much slammed with babies left and right that night. My Doctor was sure I would have a baby less than Ella's birth weight which was 7.14 oz. I told him that's what Ella's Doctor thought too! And to his surprise Nora out did herself; weighing in at 8 lbs 9 oz and 20 inches long. Apparently, I literally know how to "pack them." The delivery went so fast and smooth. She did have a few issues breathing and they took her straight to the NICU, she bounced right back a few days later and she was able to come home with us. Ella was so excited for her and has a hard time understanding why Nora can't quite hang out and play yet. She definitely is my second, absolutely adorable little girl! Yea for the post! Cute pictures, Katie, as always, is amazing! Wow! You've been busy since your last post.... I didn't even know you were expecting! Congratulations. She really is a doll. 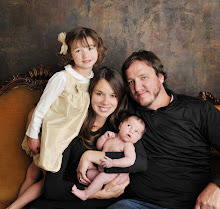 What a beautiful family you have Dawn. I am super super happy for you! Dawn! I have missed you! Sorry this congrats is very late! I need to see your girls! Let's get together! I am due July 15th, so, the sooner the better!P.S. Who is your photographer? LOVE, LOVE LOVE! Dawn, your baby is so adorable! Ella is getting big! Hope you're taking all the time off you can. My 3 months went too fast!! Oh, and you look absolutely beautiful!! Hooray for a post!! I LOVE the name NORA, I love Kates pictures! 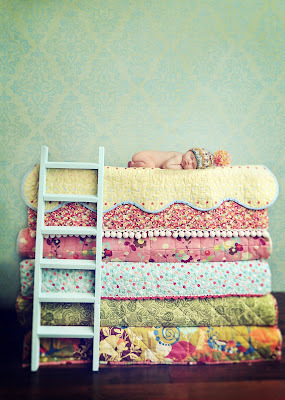 She is my anne geddes fav photographer! 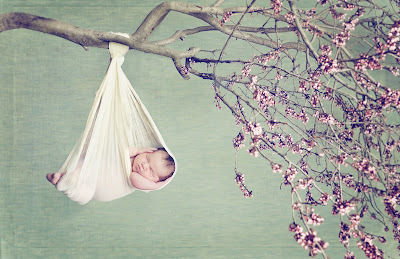 The first one in the tree needs to be in the next anne geddes calendar! Nora is of course so beautiful and I am sooo happy for you! Jamis had better be taking good care of you!! I want to see her soon!! !